Kids are back in school, the air feels a bit crisp, the leaves are starting to change, and all of the major stores have pulled out holiday items. It’s fall. And cooler temperatures are on their way. Is your home ready for them? Your home warranty covers properly maintained covered systems and appliances for normal wear and tear. That means it’s essential you carefully update your home maintenance on a regular basis. A seasonal checklist is perfect for staying on top of the maintenance tasks that must be performed each year. And now that the fall season is upon us, homeowners should take the time to properly maintain home systems in preparation for cooler weather. Get ready for winter: Heating and cooling account for 56% of the energy use in most U.S. homes. Your fall home warranty maintenance checklist should include a thorough inspection and update of the systems that will be used to keep your home warm, as well as systems that may be damaged by freezing temperatures. Major plumbing systems affected by the cold, including outdoor pipes and sprinkler systems, should be flushed and protected from freezing. Have a professional inspect your heating system before use, and prepare your chimney for use with an inspection, cleaning, and removal of bird nests. Protect the heat in your home by inspecting and repairing door and window caulking. Check for small openings in the exterior: Winter’s harsh, wet conditions may allow water or cold air to get into small openings in your home’s exterior. These drafts and water points can run up your heating bill and even lead to large cracks and mold. Stop them before they start by checking for cracks and seal leaks in your foundation and all openings including outdoor pipes, windows, and door frames. Seal them up with a quick caulking job or weather stripping where appropriate. Protecting openings including exterior vents and gaps will also help to keep small rodents out. Protect and update your roof and gutters: Avoid winter leaks by checking for missing and loose shingles on your roof in the fall. Look for loose materials or wear around chimneys and other openings as well. Maintaining your roof properly now can help to prevent water damage to your home’s interior, which puts not just the frame, but major systems including electrical and HVAC at risk. Once the leaves have stopped falling, clean and inspect your gutters, tightening joints where necessary. Clean debris from window wells, storm drains, and downspouts as well. Prepare your yard equipment: Store all summer lawn maintenance equipment, including your mower and edger, in a shed or garage. Run or drain them of gas, as it may freeze inside the equipment. Gather your snow blower or snow shovel to make sure they’re in good working order before you need them. Fill your snow blower with gas and store it where it is not at risk of freezing. Check your shovel handle for cracks or breaks that may need replacement. Take on small maintenance tasks: In addition to winter home preparation, fall is a good time to complete maintenance tasks including minor repainting, water heater inspection and sediment flushing, and inspection and cleaning of your smoke and carbon monoxide alarms, including battery replacement. Inspect fire extinguishers and review your family’s fire escape plans. Also, take a moment to clean your dryer vent. 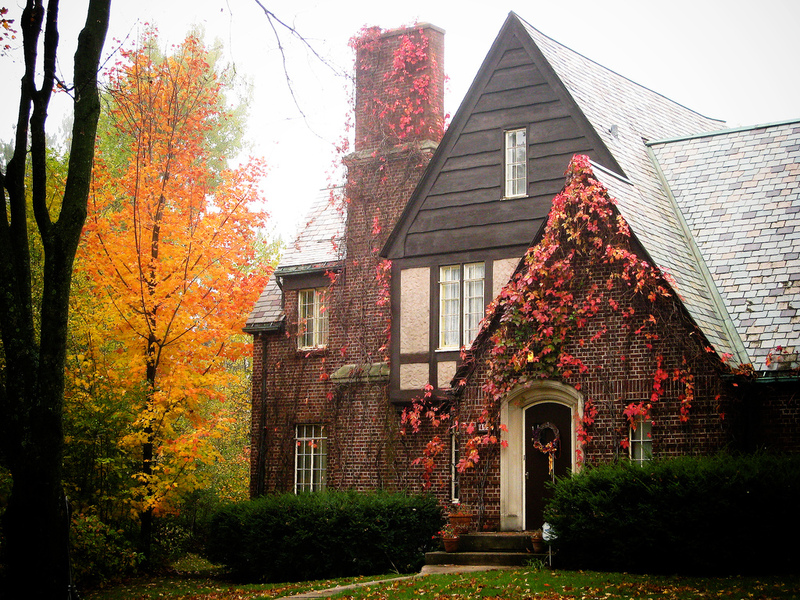 Is your home all set for fall? Find more seasonal preventive home warranty maintenance tips on the Choice Home Warranty website.